A new article published today in the journal Arctic points to major challenges in the ways traditional knowledge is included in the management of Atlantic salmon in Norway and Finland. Comparing different policy and research approaches in the two countries in relation to international expectations towards traditional knowledge inclusion (i.e. the Convention on Biodiversity and at the Arctic policy level), the authors point to remaining gaps and rare examples of success in the inclusion of Sámi knowledge in Atlantic salmon governance. Through investigating how traditional knowledge comes to matter at local, regional (national) and international levels in Atlantic salmon research and governance approaches in Norway and Finland, the authors reviewed the social robustness of different approaches to salmon knowledge co-production. The authors argue that expectations at the international policy level towards traditional knowledge integration with science are at times unrealistically high, and hard to meet at local levels and in national policy contexts. Surprisingly, the projects which seem to fulfil Arctic expectations of traditional knowledge co-production with science (projects with high legitimacy), seem to have the least impact on policy, and vice versa. Thus, it is argued for a rethinking of how a legitimate and policy-relevant knowledge co-production process should be conducted. Questions of legitimacy in the Indigenous context emerge as key indicators of success or failure. Seeing traditional knowledge only as a “data” dismisses Sámi ways of knowing which often position salmon into a larger ecological context of relationships. The review points to major gaps in how traditional knowledge is understood and included in management and research projects. At one end of the scale, it is dismissed or marginalized even after attempts to include traditional knowledge in management, and there are examples where salmon fishers act as data gatherers and contribute to traditional knowledge. At the other end of the scale, real knowledge co-production results in successful management projects. 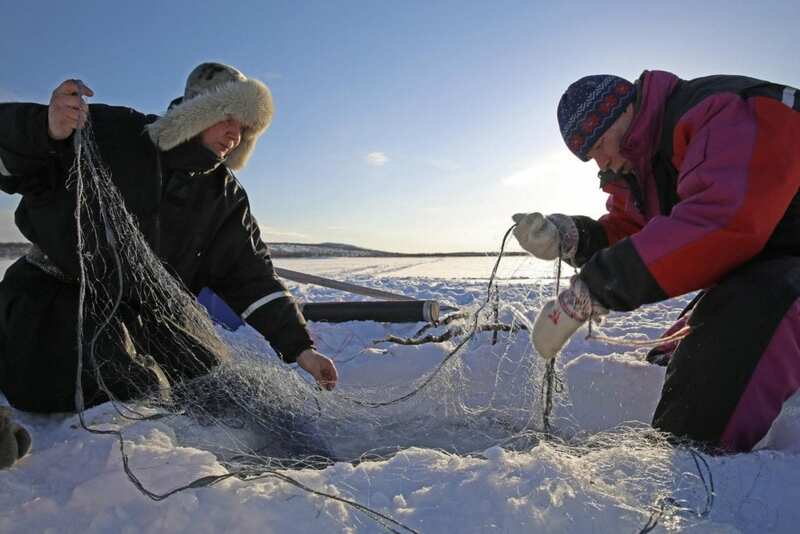 The Arctic policy levels, Norwegian and Finnish environmental authorities and salmon conservation science could fruitfully draw lessons from the Näätämö co-management project, which is already referred to as an example of best practice in Arctic environmental governance. Building on specific geographies, rights and Indigenous-led co-production, the Näätämö case has been able to restore ‘lost’ salmonid habitats through ecological restoration of aquatic habitats. This is a measure to alleviate climate impacts as well as a major vehicle of self-esteem and pride in seeing Sámi knowledge in active use of management of salmon basins. In summary, the authors discovered that to achieve social robustness, projects need to balance scientific credibility with legitimacy among local and indigenous rights holders. This might entail giving up on expectations of traditional ecological knowledge integration with science, and embracing the undefined spaces within Arctic and Indigenous knowledge production.